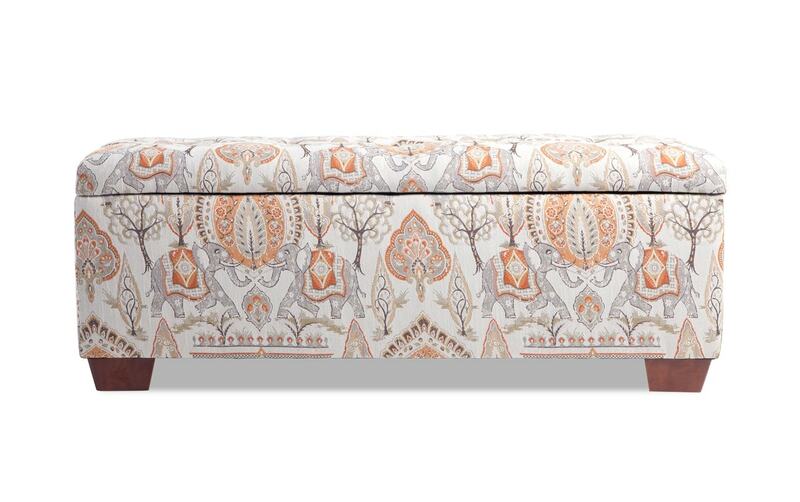 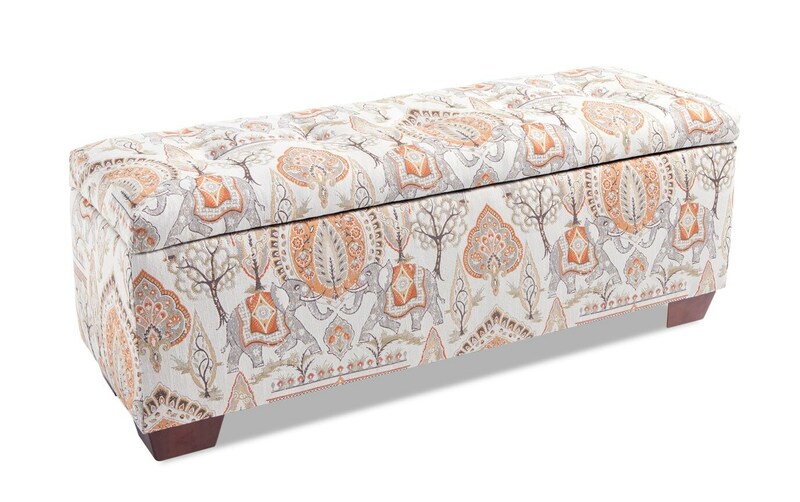 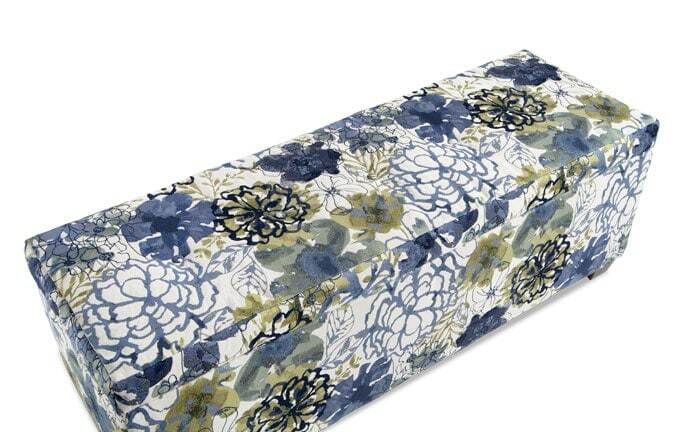 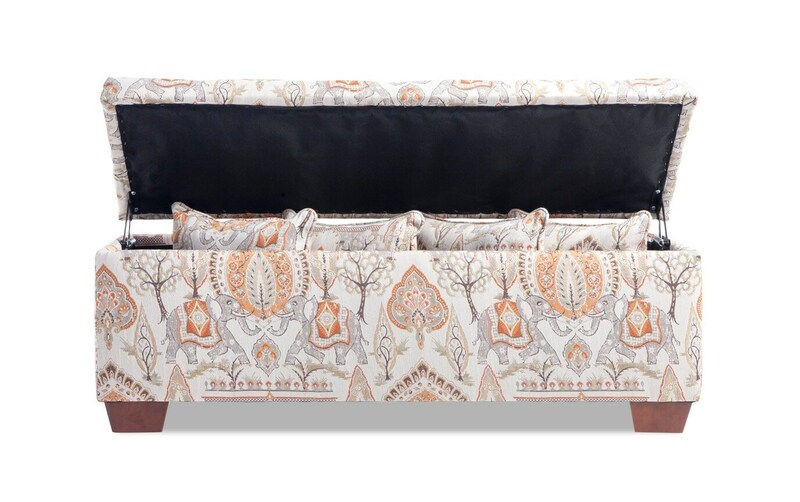 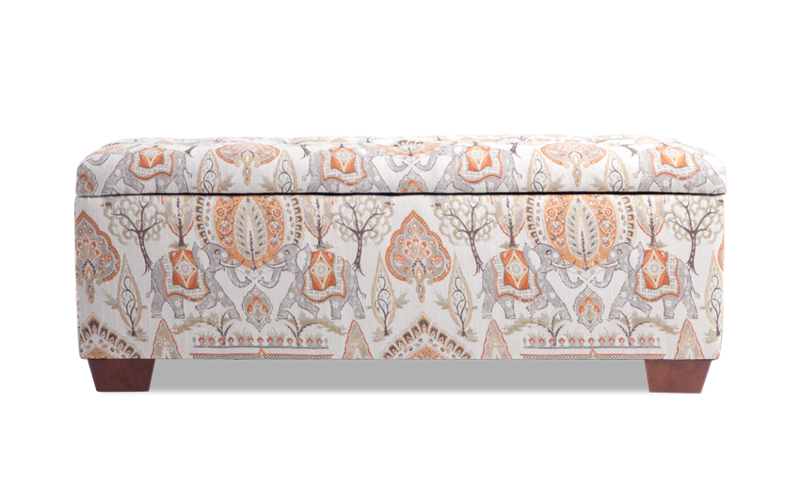 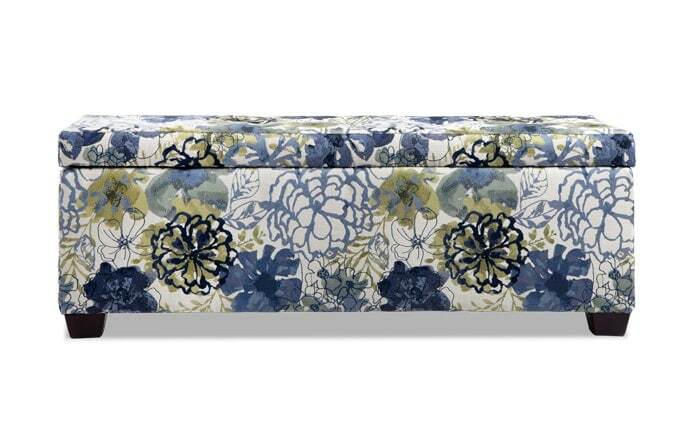 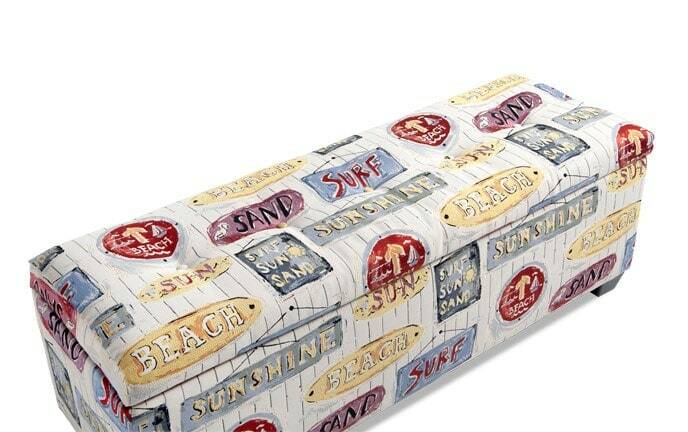 My Anna Elephant Bench is chic and storage-savvy. 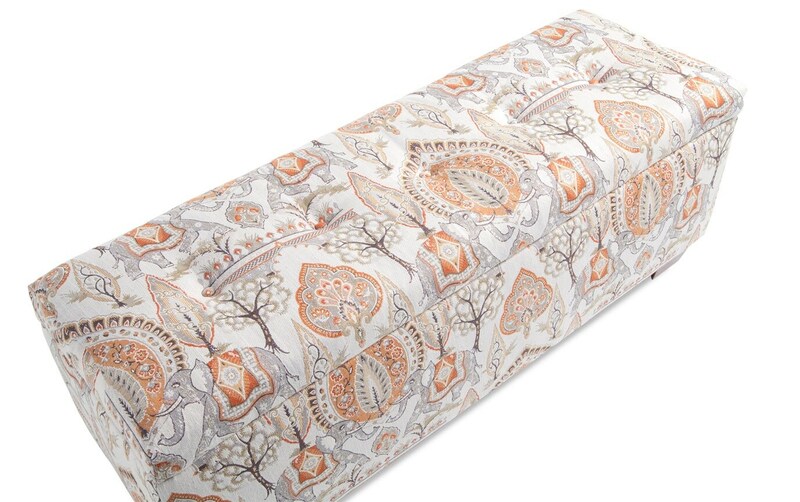 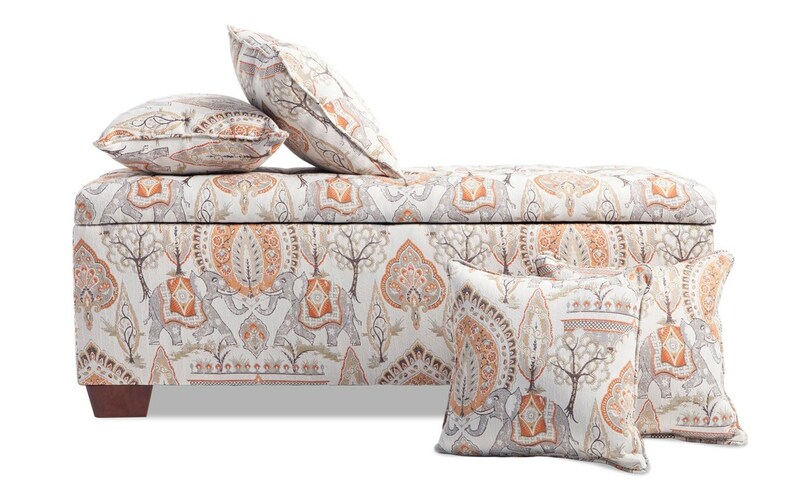 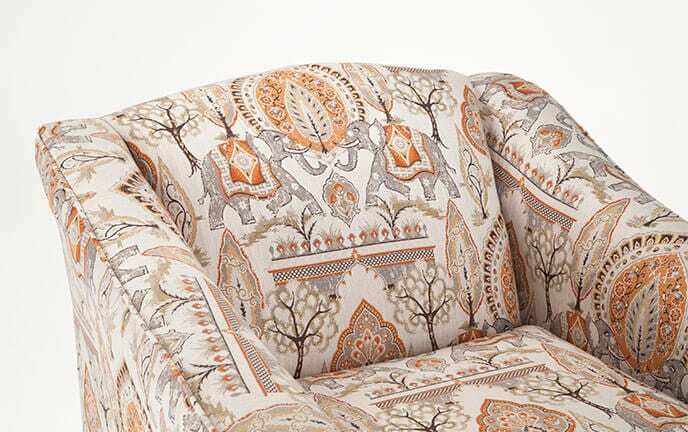 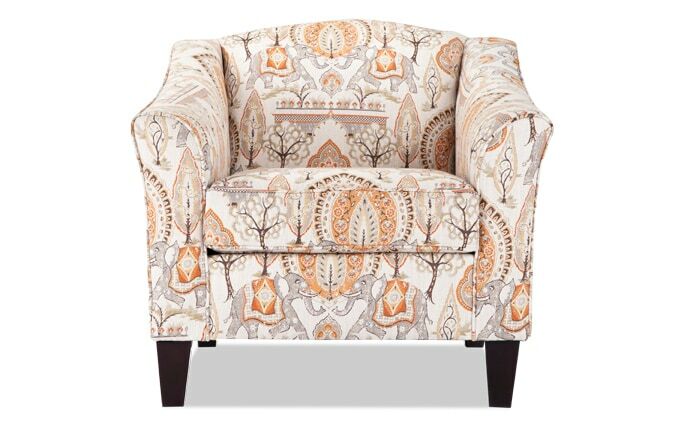 The warm tones of beige, brown, gray and orange make the exotic pattern pop in any room of your home. 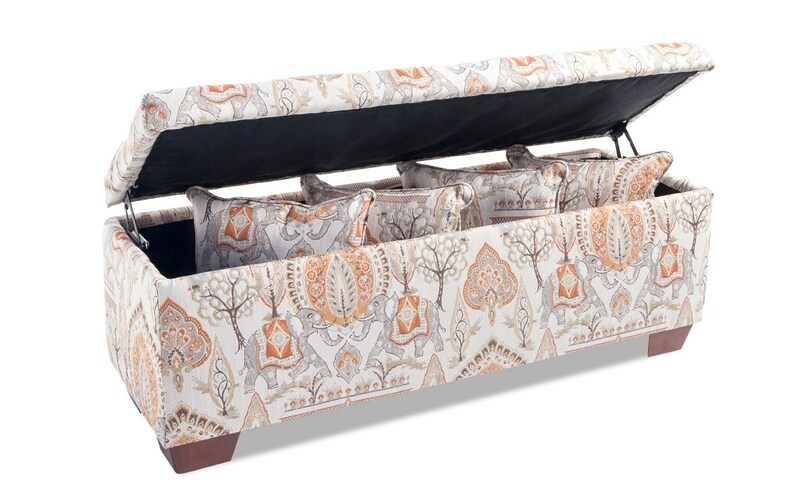 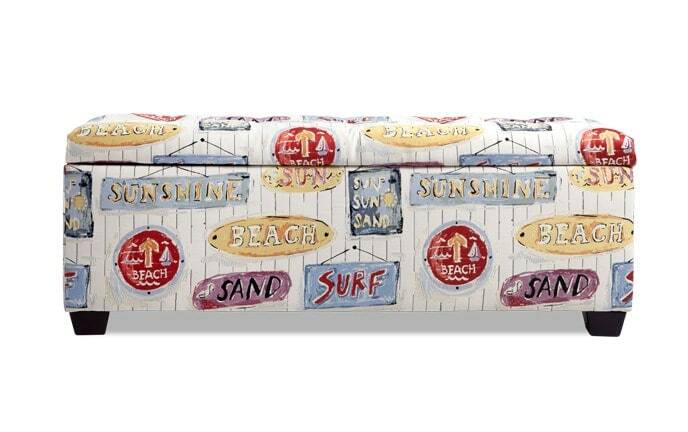 Ample storage space, wooden feet, 4 corded accent pillows AND layer of Bob-O-Pedic Memory Foam add to the value!